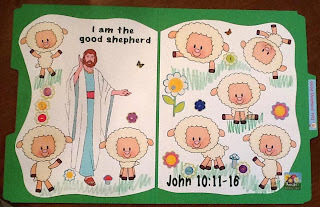 While my granddaughter is matching the sheep, I talk about shepherds in the Bible and their jobs. 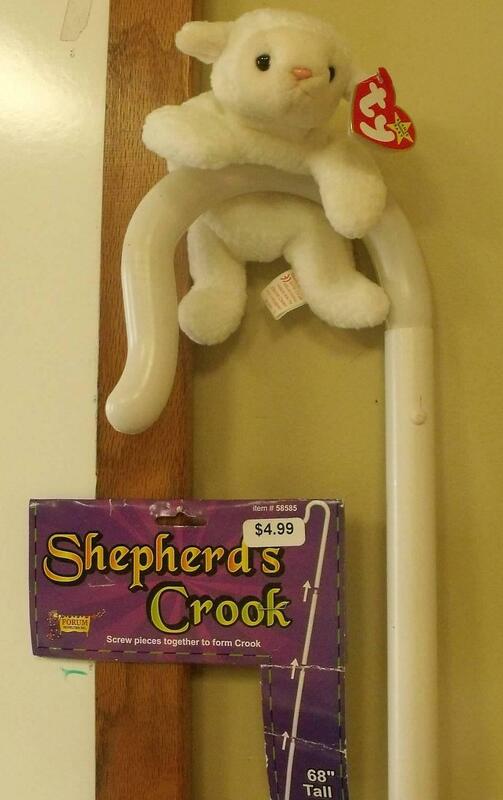 They take care of the sheep, no matter what. They watch over them, feed them, make sure they have food and a place to sleep. 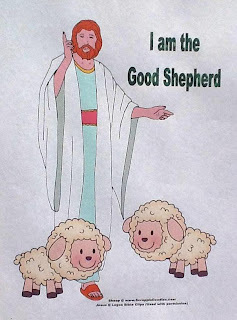 And, the shepherd loves his sheep, just like Jesus loves us. Also, I let the kids play with the shepherd's staff and the lambs/sheep so they could take care of their sheep like the shepherds. If you have play sheep, you can hide them and let the kids find them, like the shepherd would do. You can see in the picture above, I printed this on white cardstock, and we added grass and flowers, butterflies, insects and bird stickers, which she loved! You can easily make the shepherd's head gear. I cut a piece of fleece (or other fabric that won't fray) into a 30x30 square. 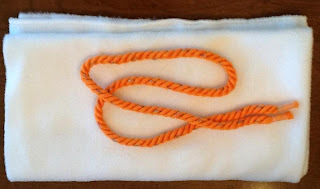 I purchased this rope and cut it into a 36" piece and put tape around the ends so it wouldn't unravel. I couldn't get a picture of this being used, but lay the fabric on their head, with the front across the forehead. Use the rope around the forehead, on top of the band of fabric and tie at the back of the head. Here it all matched up! I will also use this for David the shepherd and talk about how he did what God wanted him to. You can print this here. Click here to print in Spanish. 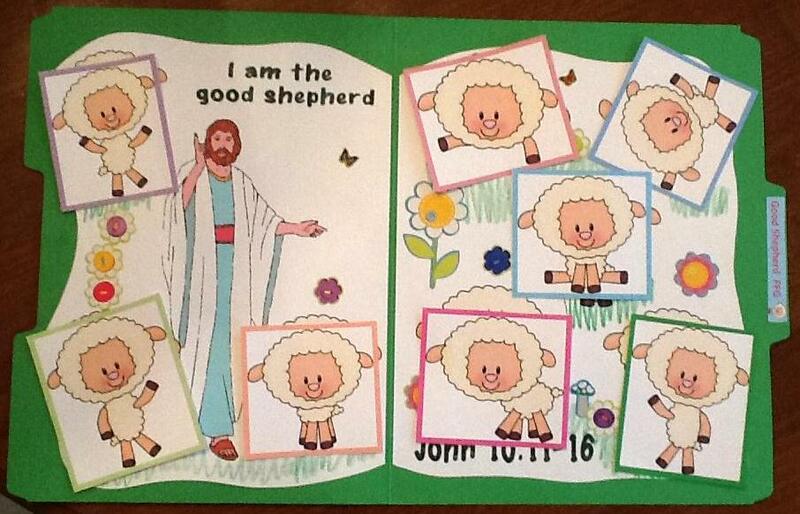 I also use these cards with my granddaughter. 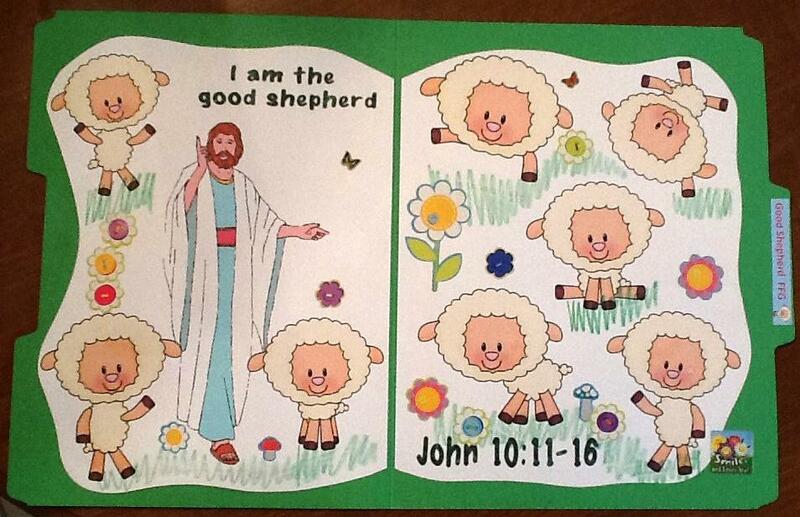 They are numbers 1-10 with the correct number of sheep on each card. 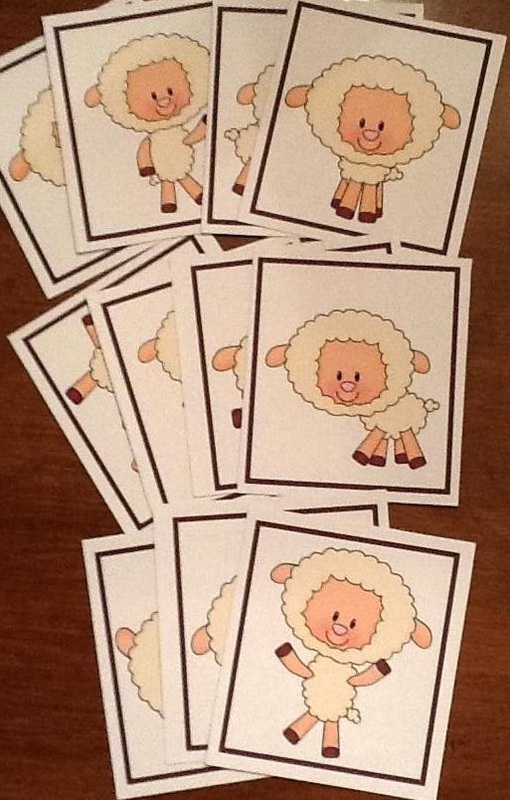 They can be used for learning numbers and putting them in the correct order and for counting the sheep on the cards. Print them here. And, here are the sheep without writing to cut and hide for the kids to find! 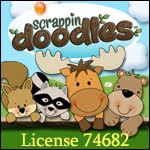 My granddaughter loves this! And, you can count while they find them and practice counting, addition and subtracting! 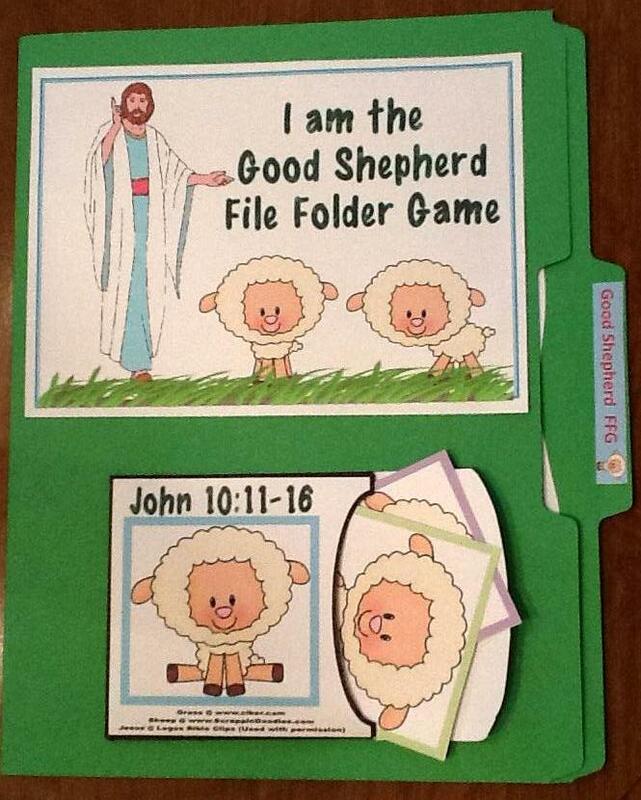 I love it when you can teach using learning as a game and teach Bible at the same time! 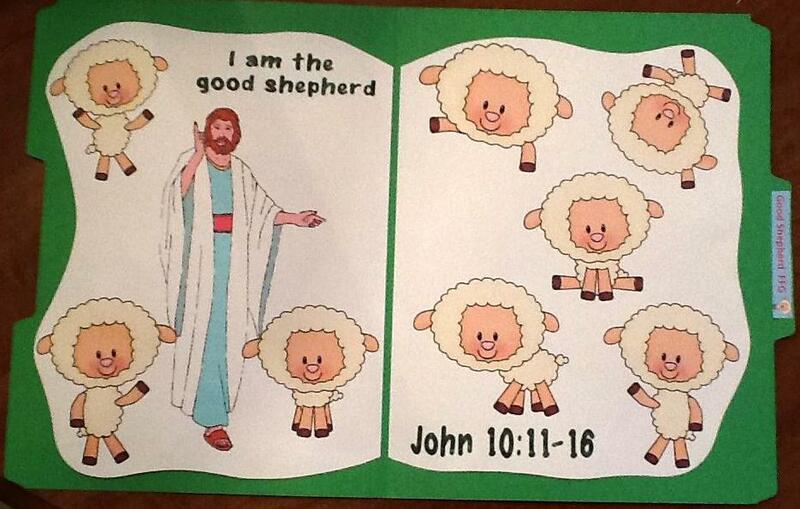 You can print the plain (no writing) sheep here. 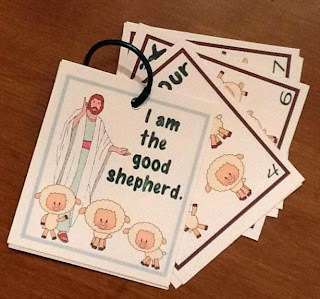 You can find more ideas about the Lost Sheep Parable here. What a sweet lesson! 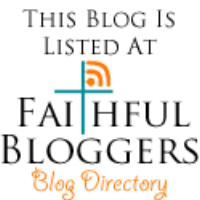 I am sending dd the link for your blog- she is a Children's Pastor at a small inner city church. Hopping over from Share It Saturday! This is really cute! We love file folder games! I will have to make this one for my kids. 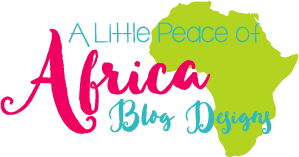 Thanks for linking up to Share It Saturday. I hope you'll make it back again! I have never heard of a file folder game! This is genius! I love that you can easily store this and then find it again just as easily. Thank you so much for sharing this. I am teaching our pre-k sunday school class tomorrow and I was just browsing the internet for responsive activities that goes along with the lesson of The Good Shepherd. This is so perfect. Again, thank you for doing what you do. :) Gods Peace. Thanks so much for the awesome comment! I appreciate it! The kids love fie folder games. But, it is not my idea... they have been used several years, mostly for homeschooling, so I have just created them for Bible class use. There are several more on my blog if you are interested. These are precious. Gracious,you have the cutest stuff! It's like a Sunday School teacher's dream come true here. Thanks for sharing these. Great fun to read and see even though my children and grandchildren are well beyond this season.